7% of the leading organizations in India are investing in Blockchain implementation. A new report by the Capgemini Research Institute today reveals that blockchain could become ubiquitous by 2025, entering mainstream business and underpinning supplychains worldwide. Through investment and partnerships, the distributed ledger technology will dominate manufacturing as well asconsumer products and retailindustries, ushering in a new era of transparency and trust. The report, “Does blockchain hold the key to a new age of supply chain transparency and trust?”, provides a comprehensive overview into the businesses and geographies that are ramping up their blockchain readiness, and predicts that blockchain will enter mainstream use in supply chains by 2025.Currently, just 3% of organizations that are deploying blockchain do so at scale and 10% have a pilot in place, with 87% of respondents reporting to be in the early stages of experimentation with blockchain. The UK (22%)and France (17%) currently lead the way with at-scale and pilot implementation of blockchain in Europe, while the USA (18%)isa front-runner in terms of funding blockchain initiatives.These “pacesetters areoptimistic that blockchain will deliver on its potential, with over 60% believing that blockchain is already transforming the way they collaborate with their partners. The study also found that cost saving (89%), enhanced traceability (81%) and enhanced transparency (79%) are the top three drivers behind current investments in blockchain. Furthermore, blockchain enables information to be delivered securely, faster and more transparently. The technology can be applied to critical supplychain functions, from tracking production to monitoring food-chains and ensuring regulatory compliance. Enthused by the results they are seeing, the pacesetters identified in the study are set to grow their blockchain investment by 30% in the next three years. 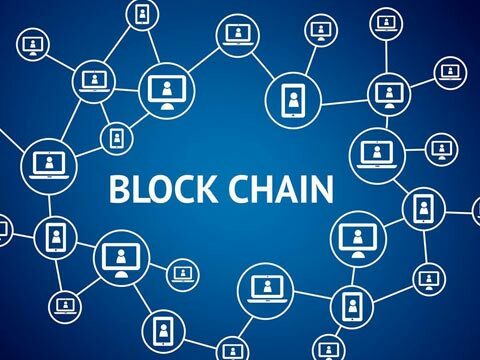 In a previous reportconducted earlier this year with Swinburne University of Technologyin Australia, Capgemini found that experimentation in blockchain will peak in 2020 as organizations explore proofs of concept and branch out from Fintechs. According to the report, blockchain transformation will mature in 2025 as organizations undertake enterprise transformation and integration, establishing policies for privacy and data management. Despite the barriers facing blockchain today, organizations are trying to drive wider adoption now while the technology is in its early stage. One example isthe Mobility Open Blockchain Initiative (MOBI), a consortium comprised of a group of auto and tech companies focused on getting carmakers to assign digital identities to vehicles so that cars and systems can transact with each other. Capgemini Research Institute’s report identified 24 usecases for blockchain, ranging from trading carbon credits, to managing supplier contracts and preventing counterfeit products.Capgemini applied these usecases to retail, manufacturing and consumer products, findingthat blockchain can be and is being used for tracing the production, provenance and inventory of contracts, products and services. The report highlights that consumer product organizationsare notably focused on tracing and identifying products, with Nestlé, Unilever and Tyson Foods implementing blockchain trials. Retailers are focused on digital marketplaces and preventing counterfeits, with the likes of Starbucks investing in blockchain trials.More critically, blockchain can safeguard food supplies, tracing food from farm to fork, to head off contamination or product recalls.